DescriptionMade of plastic, Eco-friendly, Non-toxic, Ultra-light and Durable. 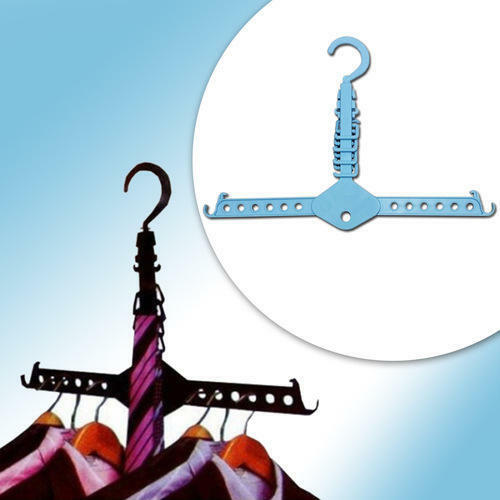 It is perfect for tidying your clothes.Application: Suitable for wardrobe, closet, behind door or hotel for organizing clothes and ties.Space Saving: One this hanger equal 20pcs ordinary ones. It helps you save much space for wardrobe.Main Function: Neatening and hanging, perfect for tidying your clothes.Folding Design: Foldable dual hanger makes it easier to storage when not in use. Specification:Material: plastic.Color: black.Size: show as pictures.